What’s the hardest part of making a good salad? Dressing and figuring out what the best dressing is for your salad ingredients. 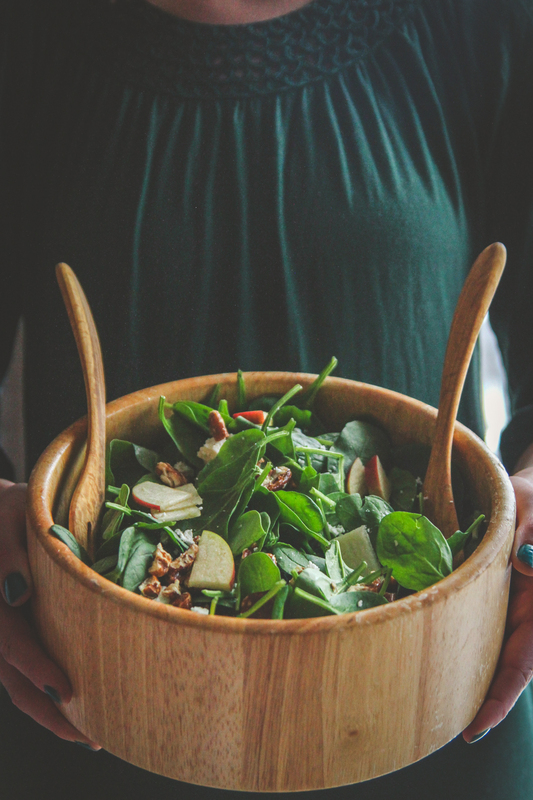 Today I’m going to share with you the best spinach salad and dressing recipe. 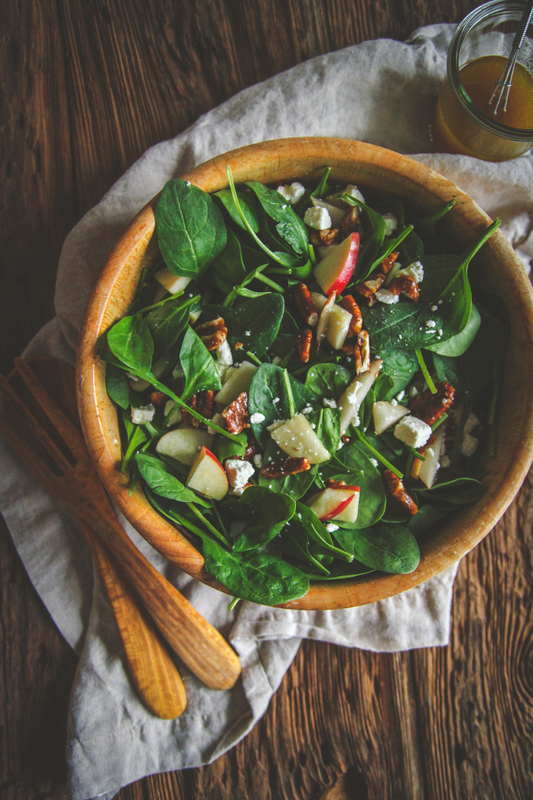 This spinach salad was first introduced to me by my mother-in-law, and after having it a million times at parties (it’s THAT good, always getting requested) I decided it was high time I learn how to make it at home. 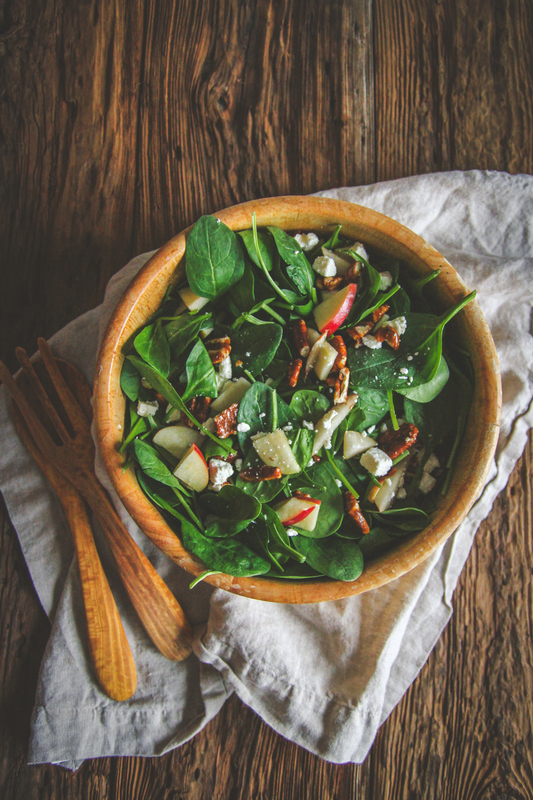 It’s a spinach salad that has apples, pears, pecans and feta in it, and has the most amazing dressing. Salads are something that I wish I would eat more of. The problem is, that unless I LOVE it, I don’t want it lol. When I find a salad I love, I can’t stop thinking about it and make it lots of times! 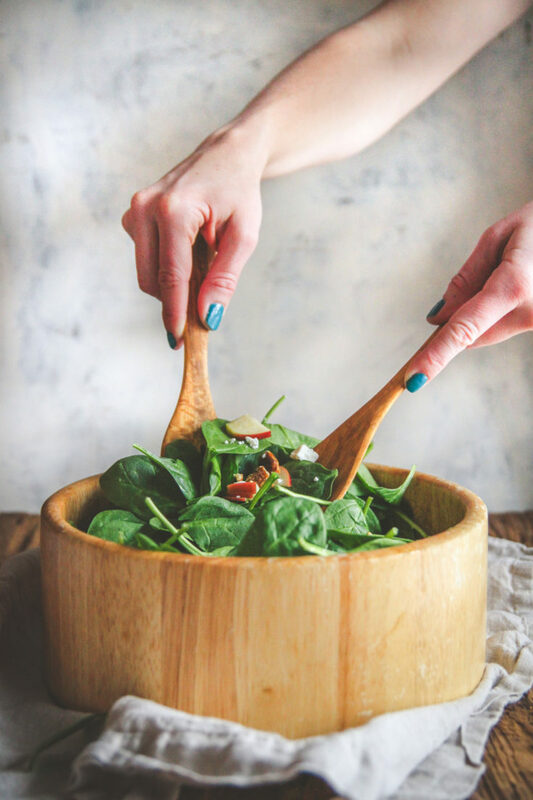 Just like my spinach salad with soft boiled eggs, bacon and a mustard vinaigrette which I’ve made more times than I can count (I’m even eating it for lunch this week), this spinach salad is one I rave about and have started making all the time. Salads are awesome to serve when you have guests over, they add that special something to the meal to make it balanced. 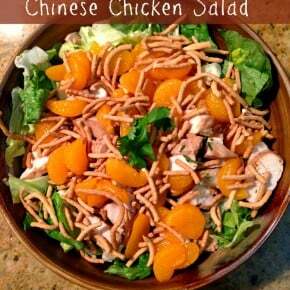 Salads are also something that are easily adaptable to what you have on hand. Don’t have pecans? No worries, add walnuts! Don’t have feta cheese? You could use goat cheese instead! Because this spinach salad is so amazing and versatile, I’ve left the title vague as ‘spinach salad & dressing’ (it also gives it a little mystery) instead of saying spinach salad with apples, pears, pecans, feta and a homemade vinaigrette, haha, because it could just as easily be called spinach salad with fruit, nuts, cheese and homemade dressing. In the recipe below, I’ll share the recipe I used, and then the different adaptations you could make. Next time you’re in need of a truly wonderful spinach salad and dressing recipe, look no further!! 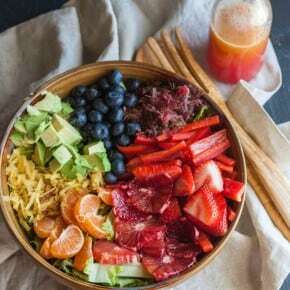 In a salad bowl, combine greens, fruit, nuts, and cheese. 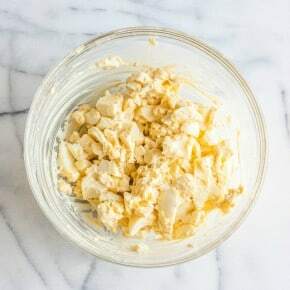 In a separate bowl (or blender) combine all the salad dressing ingredients (olive oil, vinegar, honey, dry mustard, garlic and salt) and whisk to combine. I’m currently obsessed with spinach salad too. I put avocado, rotisserie chicken, almonds or pine nuts and cherry tomatoes in mine. Sometimes sprinkle with shredded parm, but want to try your dressing next. Thank you so much for leaving your feedback, I’m so happy you liked it!! 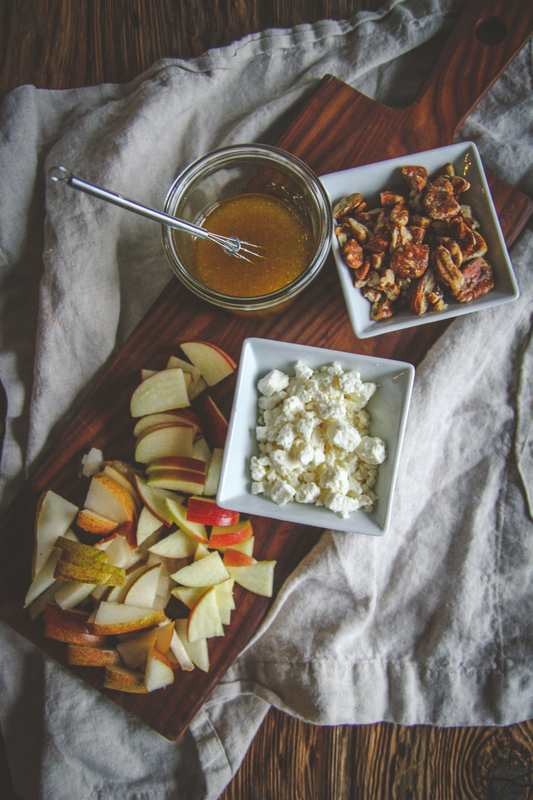 The goat cheese sounds amazing!